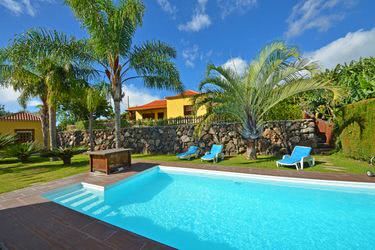 Holiday homes, apartments and villas on La Palma! 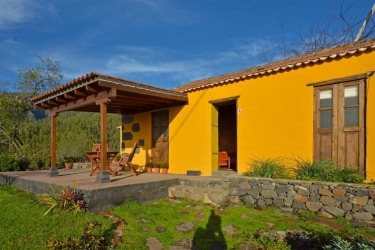 To enjoy your holiday on La Palma to the full, we offer you holiday homes, apartments and holiday flats which are exclusively rentet out from private. In our assortment of holiday homes with and without pool, you certainly will find an accommodation for your individual vacation in which you feel comfortable. 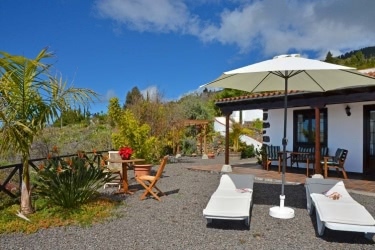 Pretty holiday house with pool for 4 persons and wonderful view over the atlantic ocean. Each holiday house offers it's own attraction through the location and facilities. Almost all the houses are secluded to even quiet location and are ideal for people who wants to arrange their holiday individually and are looking for recovery. 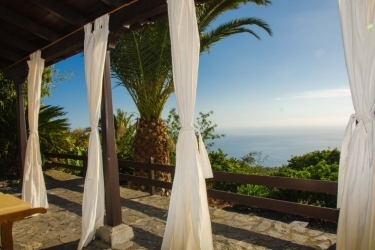 As well for guests which would like to live near the beach we have two luxurious apartments in Tazacorte, at one of the longest sand beaches of La Palma. 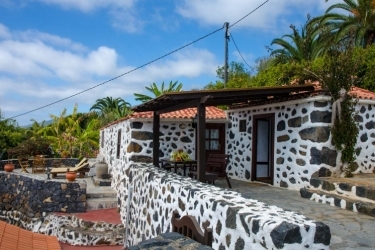 From each holiday house you have the view to the atlantic ocean in front of the canary islands and as all the accommodations are located on the west side you can also see the sunset on the ocean. To the most of the holiday houses we intergrated a rental car to the offers, which will be ready for you at the airport, the harbor or at another place of your choice. Of course we edited some information about the island La Palma for you and a little picture gallery as well as panoramic pictures of the Isla Bonita you will find on our page.